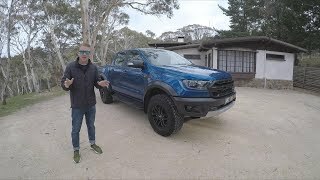 Following an extended absence the Ford Ranger has returned for the 2019 model year, bringing with it a range of questions. 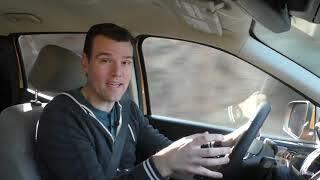 Can real humans fit in the back seats? Is the cargo box ready for serious hauling? 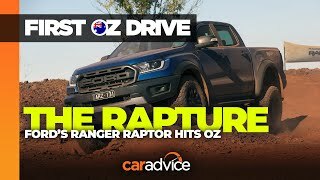 Is the Ranger’s standard turbocharged 4-cylinder engine a worthy mill for towing? 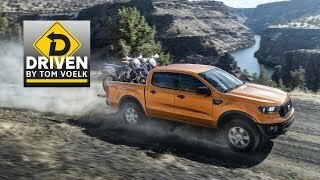 How does the 2019 Ranger fare off-road? 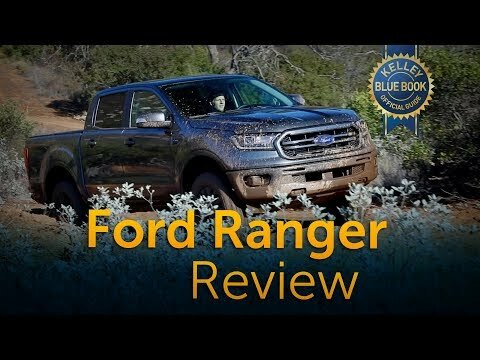 Join Kelley Blue Book’s Micah Muzio as he digs up the answers in our complete 2019 Ford Ranger review and road test. Maybe the most feminine mid size pick up thus far! NOPE. too big, too fancy, too much money. And that is Why I am Not getting the new Jeep pickup, WAY too much junk on it for me. Rear seats need to fold up so rear seat backs can go flat. 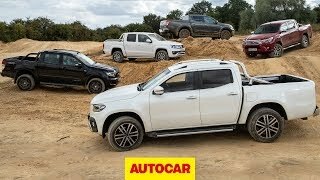 Need it to compete off-road with the competition. 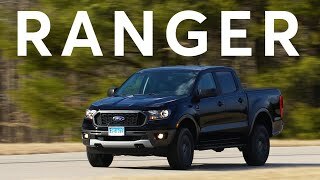 Ranger Raptor ??!! im buying one next month in April! Also going t buy a 18FT car hauler! 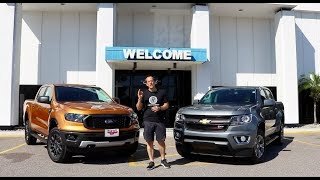 Thanks for the new Ranger Ford! 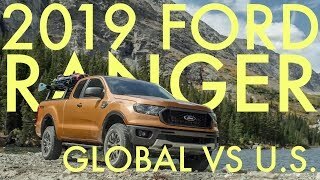 The 2.3L Ecoboost engine and 10spd Automatic was an excellent idea!! 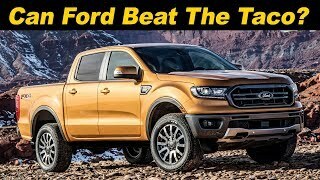 my local ford dealers have been slow to get these trucks in,i'm in the market for a mid size and the prices are high,i'm looking for a stx 4x4 supercab. Give it another 3 years for updates and modifications. Always dicey to buy a first year model in any vehicle. Let things get sorted first. 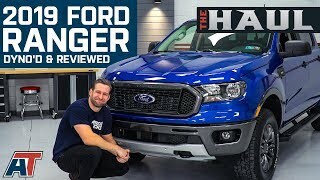 one of the only decent reviews I can find of the ranger. Is it a review or is it Comedy? Unfortunately, as a review it was mediocre at best, and the feeble attempts at comedy are not really very funny. I'll give it a 5 out of 10. Does the stx package come with that rail rack thing ? It’s not a new Ford. 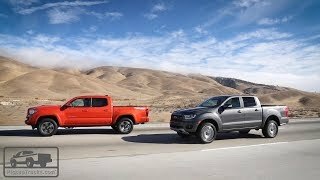 It’s a truck sold overseas that now is available the US. These videos are tacky maybe a smidge of distasteful. I’d have thought KBB to be a little more documentary/informative, and less of the jocular, clowny type review. 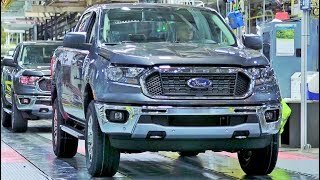 The new Bronco is built on the future Ranger platform. 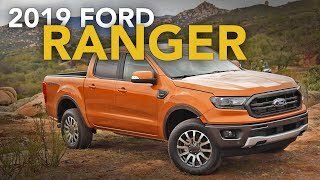 Instead of a Ranger Raptor I think Ford will surprise us with a Bronco Raptor!!! 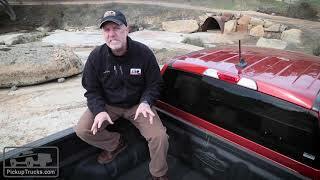 Give me a 6 foot bed with the crew cab and I’ll probably buy one in a couple years. Otherwise, piss on it! That 5’ bed is just too short! And the Supercab is way too cramped! The new engine, I like, if it lasts 200,000+ miles of 90% commuting use and 10% truck use. 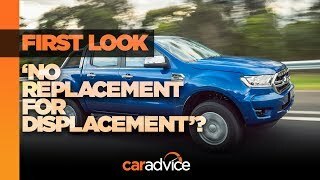 I like it, Ford using what works and keeping it simple. One engine option, only 4 spark plugs and wires to change and only 4 coils, among other parts. I’ve always had a manual transmission, but sometimes would rather just have an auto and if it’s reliable, that’s fine by me. I really just don’t like how they need a fluid change twice as often as a manual and they take a lot more fluid and also a filter and the pan has to be dropped to change out the filter. The electronics, if they don’t break, are nice. I like the chrome package on the Metallic (gray) Ranger. But I’ll probably paint the black surround on the fender emblems, a dark orange red color, for a nice contrast. 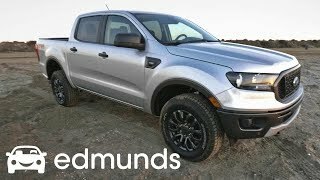 i'm liking this new Ford Ranger = ) ... too bad i'm not a truck guy but if I were, this would be the truck for me! Excellent! This is the one of the best brands around the world. Funny af 🤣🤣🤣 great review buddy!! I am only getting 18 mpg with my 2019 supercab so far with easy on the throttle driving. When towing a small trailer I get about 13 mpg on mostly flat roads. I got better MPG with my 2003 Tundra. I’ll stick to my tacoma. 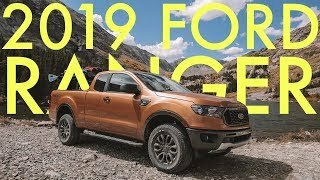 2019 Ford Ranger | Baby F 150? Does It Matter?